Do you even like your job? Camp Shutaf, part of Shutaf Inclusion Programs, offers 3 weeks of camp for 130 campers, teens and young adult participants from the greater Jerusalem area. More than 50% of Shutaf families pay significantly reduced tuition for the program which includes busing to and from camp. Shutaf believes that every family should have access to quality summer programs regardless of their financial situation, and without the family having to jump through hoops in order to prove that they need financial aid for camp. I have had the absolute pleasure of working for Shutaf for the last three years, now going on four, and everyday I find something new that I love about job. The best part of my job at Shutaf is our focus on answering difficult needs, especially during summertime, Which can be the most difficult time of the year for children with special needs and their families. Choices for activities are limited, and most of them end up putting families into debt. I am so proud that Shutaf is a reliable, professional and affordable answer for so many children and families. Let me tell you more with a story from a pre-camp home visit. I knocked on the door, Emotionally prepared (or so I thought) for meeting a mom and her two boys. A ten year old boy, “Moshe”, answered. “Moshe” is super polite, and very sweet – you can tell he is very excited to see me. 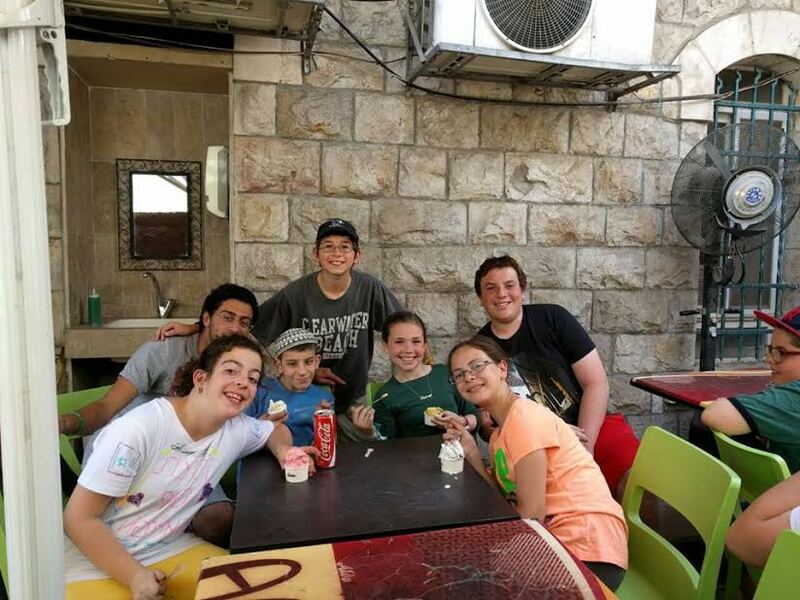 I sit down with his mother ‘Sara’, and his brother ‘David’, who is thirteen and a Half (a very important point to David), and their older sister who is an IDF soldier. ‘Sara’ begins by telling me that she will only be sending ‘David’ to camp as she is not familiar with Shutaf programs, and only feels comfortable sending her older son. From the way she is speaking, and by informally assessing their extremely modest home, I can tell that there is a lot more going on here then she is comfortable sharing with me. I tell her about camp and the different activities we offer, and watch as both boys get excited. We discuss tuition, and I can also see the look on Sara’s face as she wonders how she is going to pay for two children to go to camp for two weeks. Next,my favorite part of the home visit, getting to know the kids. I find out that David loves to sing and apparently is very good at it. He also loves soccer, carpentry and swimming. “Moshe” is an energetic boy who also loves sports, swimming and playing with friends. The family, thinking I wouldn’t take a problem child, told me that the children don’t really have behavioral issues. This seemed a little odd to me and the sister had made a couple comments to the contrary. I filled in the children’s information and told Sara to be in touch with our Director, Marci Tirschwell to discuss price (which she brought up numerous times during this home visit). I wanted a little more information on these children as I felt i didn’t get to see the full picture. After getting permission from the mother I got in contact with the school social worker who handed me over to David’s teacher. My expectation of this call was that the teacher would tell me that the boys have some behavioral issues but it is a manageable situation. Boy was I wrong. The teacher proceeded to tell me that not only do the boys have some behavioural issues but the financial situation was worst than I thought. She told me that Sara is a very caring mother and tries her hardest but can only send a very plain sandwich for lunch and the school provides clothing for the children. Sara can’t even pay the 3$ that goes towards the classroom fund. ON top of all this she had to have surgery on her leg so she is not able to work. We decided, as is our policy, to contact the city social worker and double check the financial situation and see if the social services department would help this family pay for camp. I tried to contact the social worker several times but only once got a hold of a different social worker that told me she would ask the families social worker to contact me. She hasn’t yet. Meanwhile our counselors get in contact with our families the week before camp in order to update them on relevant information for camp. I was told by one of the counselors that they called the “Cohen” family and were told that the children are not signed up for camp. Finding this very odd I phoned Sara. Sara told me the children weren’t interested in camp anymore. To try and feel out what the issue was I asked if they would like to come to camp for a week. As Sara is discussing this with David I hear one of the most heartbreaking sentences come out of David’s mouth. “Mom if it’s too much money I don’t want to go”. What is happening in our country when a thirteen year old is willing to pass an amazing summer experience because his Mom can’t afford it? I immediately told her that I would call her back in a few minutes. I called up Marci and explained the situation. Her immediate response “make it happen”. I am extremely proud to work in an organization that gave me the opportunity to allow this family to come to camp no questions asked. These two children are coming to camp. The mother payed the lowest tuition that I believe we ever offered and this family deserves that. Some of my fondest memories are of camp I don’t think any child should be deprived of that. Looking back at Passover Camp, 2016, it was the most educational, exhausting, outstanding and rewarding camp experience I have ever had. And that includes Summer Camp 2014, a summer with a war and a not-so-nice principal at the school space we rented, and a special project which brought 14 kids from Israel’s Southern Communities to camp for 1 week in August. Too challenging? Not at all. I wouldn’t change this Shutaf experience for anything. Before I start explaining the amazing lessons I’ve learned and how Shutaf’s talented camp director, Marci Tirschwell, teaches me new skills everyday, I must honor the person who taught me the first rule of child care, my mother. Yes, my mother. As she will tell you, I was not an easy child or teen (sometimes I’m not an easy adult), but I only felt unconditional love and acceptance, regardless of what I did or how challenging my behavior was. Her lesson of unconditional love and acceptance is one which I’ve taken to heart in my life and within my work with children. Shutaf Passover Camp 2016 was my seventh camp as a staff member, and I still feel like I’m constantly learning and growing. Aren’t we all? This camp’s lessons were about flexibility and what that really means when working with children. Since I starting working at Shutaf, I have understood and internalized that every child must be treated as an individual. For example, what about participating in daily camp activities? Not every child is capable of participating for the full length of a forty-five minute activity. Some can’t even last a minute as many of our counselors will tell you. At Shutaf, Marci’s motto is that we used structured flexibility as our approach to the job of figuring out each child’s needs. Marci has taught all the staff to understand that expecting complete structure and order at all times is a mistake that just ends in unnecessary conflict. For example, when you ask a camper to do something he cannot do with ease, such as participate in activity for five minutes, you set both yourself and the camper up for failure. You end up spending your day killing yourself to get that camper to do something that will most likely not lead to personal success anyway. If the camper isn’t hurting anyone or doing something they shouldn’t why do they have to participate in the activity? Of course, in a perfect world all Shutaf campers would be happy and participating in activities at all times. In reality, we need to realize what our goals really are for each and every one of them. Do we want full participation at all times? Do we need full participation at all times? Or, is it okay, like Marci would say, to have our campers arrive and leave camp with a smile? Day in, day out, I’ve seen Marci practice the art of creating structure with flexibility for many campers. She is open to them, always speaking honestly with each camper and listening to their concerns. She allows those campers who need to play soccer all day the right to do so, as well helps those who need to “scream out” their frustration find a safe and proper outlet. Her open honesty is a trait that too many educators lack. At this past camp, we faced a serious challenge with a participant who personally boasted about being kicked out of camp and school on a regular basis. The truth? He reminded me of myself. It became our joint mission, this after he told Marci on the 2nd day that he expected to be kicked out of camp, to show him how great Shutaf was. We also wanted to show him that he could make it through the week successfully! On the third day of camp, his plan for getting kicked out of camp was to leave our camp location at the Nature Museum. As I ran frantically around the perimeter of camp looking for him, I was thinking, “That didn’t last too long. There is no way he is staying now.” I found him outside in the parking lot, unwilling to return to camp, determined to keep moving as far away from Shutaf as possible. 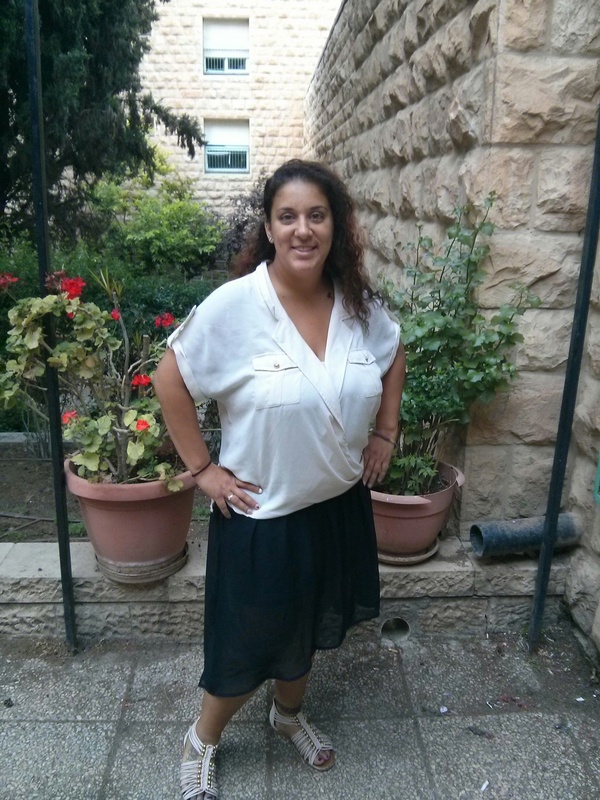 I suggested that we take a walk over to busy Emek Refaim where there are restaurants and shops, thinking maybe I’d find somewhere, something that would interest him. I called Marci in order to discuss our options (as I often find myself doing), assuming that she wouldn’t approve, especially given that he’d just run away from camp. To my surprise, she was not only okay with my idea, but suggested that we have lunch together (! ), our way of showing him that we can work with him, respond to his needs and help him find his place at Shutaf. On day four, I found myself again out and about with this camper, until I was able to bring him back to camp. I started thinking about my other work at Shutaf, leading workshops and informational training sessions about our inclusion and informal-education methods. It’s amazing to share what we do, and see how we practice what we preach at every Shutaf program. We look at each camper as an individual with their individual needs and take each day for what it is, for each participant, always looking for the positive. Did this kid suddenly become a model camper? No. But he successfully completed his first camp. Ever. We responded to him. His fears and his needs. And he didn’t run away the last day of camp, a real victory. Picture a nondescript room in any city, state or country. There’s a table, around which the Kangaroo court sits, waiting silently for the parents and child or young person with disabilities to enter the room. Brief introductions are made — a map of the table is needed in order to differentiate one court member from the next — and the questioning begins. The court rests, with a look that reminds me of Henry B. Swap from Mike Mulligan and His Steam Shovel. That not-so-nice smile that lets you know you’ve been judged and found wanting. For what? For having developmental delay? Akiva is disinterested. The court is nonplussed. Ira encourages him, and he responds with the color red as well as the different shapes represented in the puzzle as well (he adds in trapezoid, perhaps just to mess with their heads). Court: “Kol Hakavod, Good job!” And, that’s when I saw red. We were back at the Ministry of Social Services. It was a month since we’d last visited, then for a morning of testing which included a meeting with a psychologist, a doctor, and an evaluator. We first sat with the psychologist, who was conducting what would be called a psychosocial, gathering information about the family, who’s at home, what Akiva does at home, and what are our needs as well as his. Akiva, who was being ignored, sat in between us, singing and rocking a bit. He was relaxed even though we’d rushed him through his school lunch in order to get to this appointment. I whisper in Akiva’s ear that while I enjoy his singing, could he sing a bit more softly. He continues singing while the psychologist continues her line of questioning, mostly to me, a common problem Ira and I often experience. For some reason, ‘Ima’, or Mom, is always deferred to when it comes to family matters. We were shocked. This is his future we’re here to address, from his right — we hope — to live and work in the community, to the monetary support which will be allotted for his needs. Let’s jump forward again a month to our meeting with today’s Kangaroo court, as the puzzle is brought out, and Akiva is asked to identify which shape is red. Is Akiva a monkey, who needs to jump to your bidding? I don’t think so. If he answers, correctly or incorrectly, what will that gain him in adulthood. A banana? They have yet to ask him any real questions about his likes or dislikes. His hopes and dreams. Or ours. The Kangaroo court? They’ve clearly already decided he’s just not worth much to anyone, if these are the kinds of questions they’re asking him. If this is the best they can do to relate to and get to know a person with developmental delay. And please, please don’t say, “kol ha’kavod, good job, as if he’s a 3-year-old.” He’s had enough ‘awesomes’, and ‘high-5’s’ to last a lifetime. Akiva, when, where, or with whom are you the happiest? Akiva, do you like musical theater? Which plays are your favorites. And, have you been listening to Hamilton? You have? Cool. I like Hamilton too. Akiva, what activities do you enjoy best of all? Akiva, is there something you want to share with us? Be prepared to wait patiently for his responses. Maybe with the help of a facilitator, explore how to mentor him through these kinds of questions. Have a conversation with his teacher, his classroom buddies, his gardening teacher. I don’t know, make an effort to get to know him. Not as a monkey. As Akiva. Members of the Kangaroo court, open your hearts and minds. Focus on this individual, this person. He is not high level. He is not low level. He is not Down syndrome. He is not Autism. 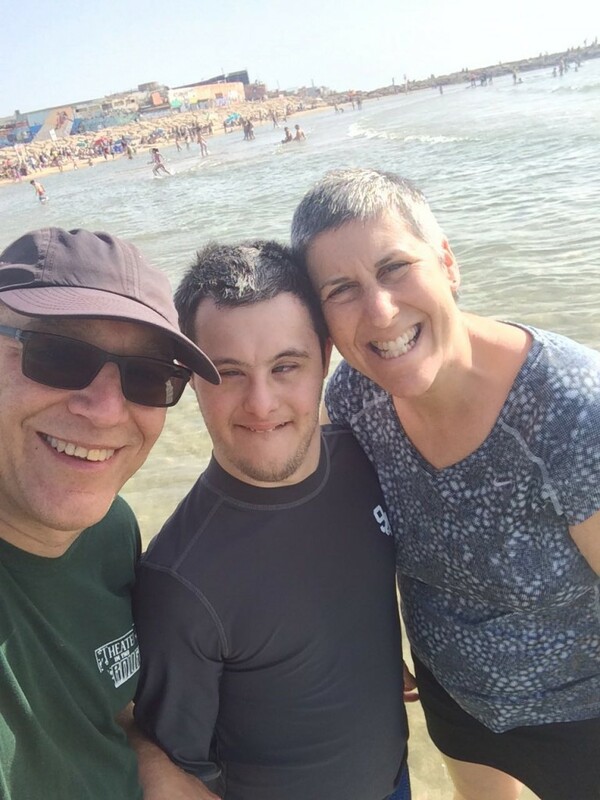 Our youngest, Akiva, who has disabilities and recently turned 18, has had to be re-­evaluated by local government and municipal agencies ­- we live in Jerusalem- ­ as part of assessing his needs for adulthood. Sounds great. We need to make sure he has access to appropriate services for the rest of his life, and begin to grapple with where he might live in the future. One recent visit, which included some cognitive testing, a psychosocial analysis of home life ,and a doctor look-­see, also required that we, his parents, fill out a long and frustrating form, rating his independent living skills on a scale of 0­ to 3. Seriously. 0 to 3? Nobody is a 0, regardless of what their cognitive and independent skills seem. They’re alive. They exist. They’re humans of the world, living and breathing. Considered the father of modern philosophy, Rene Descartes wrote, “I think, therefore I am.”Maybe that’s the problem. It’s 2016, and we still parse existence based on what we presume thinking or cognition is about. And I shudder to think of what Akiva’s final number will be, how his cognitive capacity will be assessed, and how that will limit his choices in adulthood. How his number will have little to do with his sense of humor, his friendly nature, and his love of musical theater. The Jewish tradition of creation teaches us that humankind, male and female, were formed in the image of the Creator, words that are often quoted by those who point to an ethos of human equality, regardless of difference, in Judaism. The reality is very different. Out there in the real world, people with disabilities, young and old,and those who love them, feel distinctly apart from the rest of the community. While Jewish education, formal and informal, has expanded to offer more opportunities for children, teens and young adults who have disabilities, the number of those who can access or afford such programs, or who are considered sufficiently ‘high-­functioning’ is limited. We are grateful to live in Israel, where Akiva has had access to a meaningful Jewish education, something that seemed impossible in New York, where he didn’t fit into the hard-­driving, on-­our-­way-­to-­Harvard life of the average Jewish child of our former community. 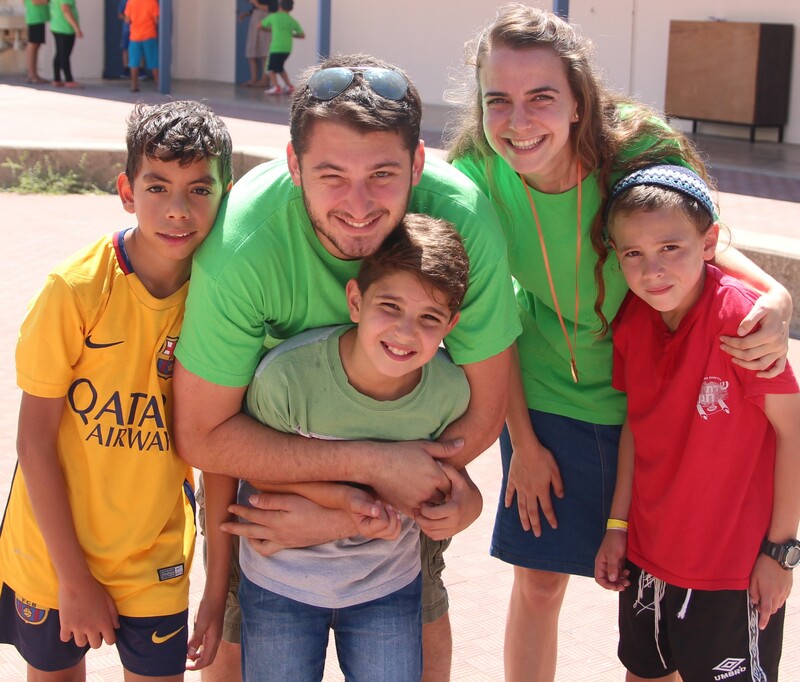 In Israel, Akiva has also had access to Shutaf Inclusion Programs, an unique informal education model that I co-­founded with another mother, 9 years ago. Shutaf is a place of complete acceptance and inclusion for all children, teens and young adults of all abilities; religious and secular, rich and poor, from all cultural backgrounds. 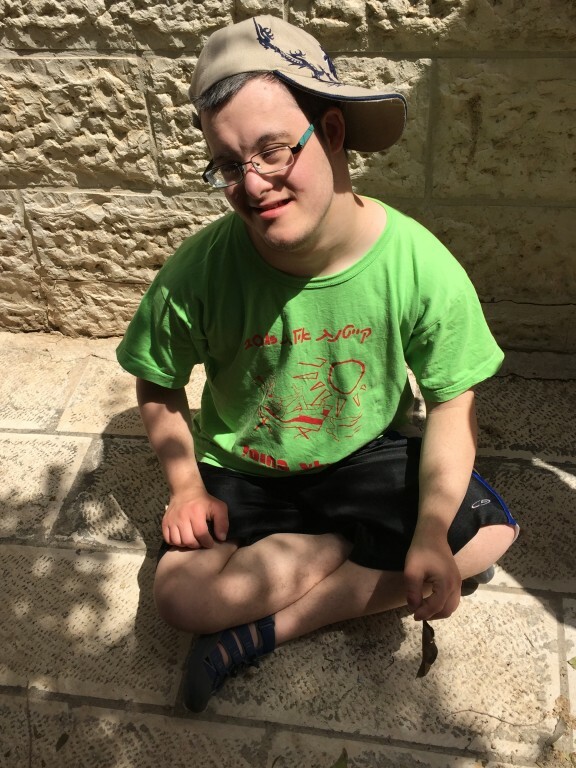 For Akiva, the inclusion opportunities offered at Shutaf are critically important, offering him a place where any perceived developmentor independent skills he lacks are not seen as an impediment to being part of the program. To find out more, visit our website, or watch our video and support our work. Invite me to visit your community – to teach and talk inclusion, disability and the Jewish community. 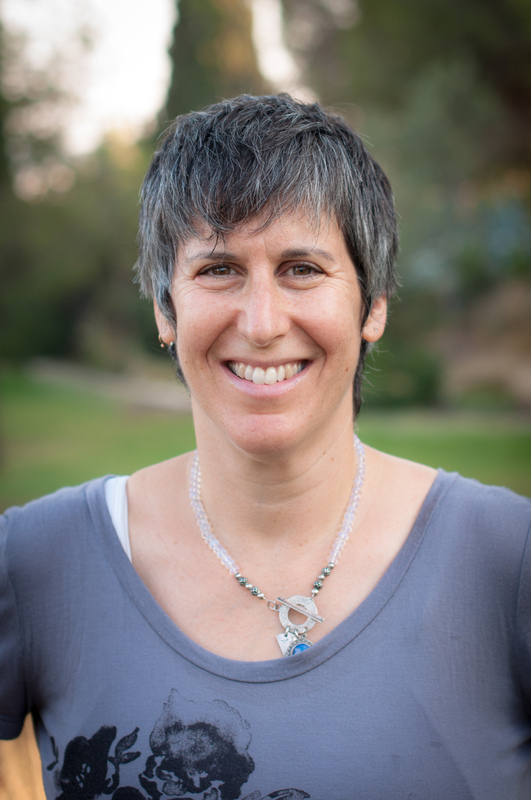 At Shutaf, Akiva’s not being discriminated against, as often happens in the world of disabilities, where individuals are divided and parceled off based on their label, or on the idea of which populations of need should be together — as opposed to a united community of people with disabilities, let alone a united and inclusive general community of everyone. But that doesn’t soothe my feelings of injustice that the system, and our compliance with the system, has removed the Creator and given us a rating scale for assessing self­-worth along with presumed ‘design flaws,’ as opposed to valuing personhood and what makes us different. That would be an act of Jewish loving kindness whose time has come, because disability is a Jewish peoplehood issue. There are moments that shape us as individuals and experiences that change our outlook on life. We’re not always aware of these changes in the moment, but as we reflect on the journey we have traveled, we can plan our path for the future. With an adjusted outlook, I arrive on the second day of camp. As the circle of counselors and campers forms, I approach one of the few campers that isn’t interested in joining the larger group. I ask the camper if they would like to be a spectator to this “show”, we talk about being spectators at the theater, and choose to clap along, from the sidelines. Participation is solely based on definition. I’m on the bus with some of our teens from the teen leadership program. We talk about what we’ll need to do once we arrive at our destination, we start talking about recent bus line changes, and a well intending woman pipes up. She looks at me directly and wishes me a “kol hakavod,” (good job,) for spending time with them. “Them?”, I asked. I kindly explained that these are my friends, and we were just talking about the bus line changes, and inquire if she had heard. She hadn’t, so the “chevre”, my “chevre” filled her in. It’s these moments and these experiences that have shaped me into who I am today. Shutaf has found a permanent home in my heart. Our summer intern, Stephanie Reynolds, has been chronicling her daily experiences at Camp Shutaf. A recent college grad from Toronto, Stephanie has been having a blast experiencing camp and inclusion the Shutaf way. Enjoy! Today I was w ith a group and what I observed was the level of diversity within Shutaf. Every activity I did represented an important part of culture from other countries and I thought that was really great. Israel is full of a diverse group of people and so to see that included in camp activities is awesome. We got to make sombreros and salsa for Mexico and we played a few other games. The kids even learned how to say “buenos dias”! I think it’s important to expose children to different cultures because that creates a level of understanding and appreciation. These concepts also create an understanding of what inclusion means because the campers will learn about how to get along and not judge or stereotype. Inclusion is a cornerstone of Shutaf philosophy and unlike many other organizations Shutaf really puts what they believe into practice. The counselors never force a child to do something they don’t want to but rather let them be themselves. This allows for various types of personalities to blossom creating an even more diverse environment. Shutaf includes campers from all types of backgrounds and the mosaic of this is truly beautiful. I have really noticed the differences coming together. In a country such as Israel and a city such as Jerusalem it is easy to believe or perceive that a lot diversity doesn’t happen but I can say from experience that here at Shutaf diversity is very real. When I got to Camp Shutaf, I was told I had the option of joining a group of young campers or going on a scavenger hunt with the teen camper. I was a little hesitant to leave the camp location but thought a day out exploring would be fun. I’m very glad I made the decision I did, as I got the opportunity to see various sections of the municipality and learn about the history of the area. I got to see the Old City, and in particular the Armenian Quarter which I’ve never seen – I was really excited and impressed. Thankfully, I was put in a group where the counselors spoke very good English. One of them even gave me a little history lesson about the Armenian quarter which I really enjoyed. Learning about the rich history of Jerusalem and the Old City would’ve been enough but I also got to relax in the shade while eating lunch and a popsicle. Today was a very different day to my previous experiences at Camp Shutaf but I thoroughly enjoyed myself. I wasn’t running around as much and wasn’t able to communicate as much with crazy actions during activities but I was still so pleased with how the day turned out. Now I don’t know what to do. Do I stay with little campers or do I mature up and go with the teens? Interning at Shutaf includes getting to work with many great people at an awesome organization. It’s also offered a combination of experiences, in particular, unpredictability and being flexible. Prior to starting at Shutaf I thought I’d be working on social media but have to come to realize my role is much more diverse than that. Every day you have no definitive idea of what will be asked of you or what you’ll be doing. This is not a bad thing in my opinion because it means you can look forward to every day being a new adventure. You can never get bored with repetition and at an environment such as summer camp being able to adapt is a good quality to have. Being flexible means getting to enjoy the short time you have with the kids that much more. When I was told I would be going to camp, I figured I would just be on the sidelines, watching and observing. While I do end up doing that (my shyness always gets the best of me), I also get to interact with the kids – today, I got the opportunity to get involved with other activities. I made a purse out of newspaper which was really fun, and I also had the opportunity to dance again. The best part? Trying to improve my people skills. I am being forced to break out of my shell and talk to people. The language barrier makes it a little difficult but it is still really fun. Even more so, I get to experience in a small way, what it is like having a disability in day-to-day activities. Not being able to join in an activity, or feeling left out of something, are experiences that everyone feels at some point but for people with disabilities, they face that exclusion every day. I know I’ll never be able to truly understand the struggle but being at Camp Shutaf is helping me learn. The unpredictability and flexibility required is all a part of this process. Even though I don’t know exactly what I’ll be doing tomorrow, I’m still excited! This week was absolutely fantastic! I got to pick up some new Hebrew words, make new friends and just have fun again. I recently graduated from university and am very stressed but working at Shutaf is a nice relief. Being someone one of the interns means I still have some responsibility which is nice, but I can still enjoy myself. Helping out when needed and getting to experience new things was very satisfying. I’m almost tears right now just thinking about how in a few weeks it’ll all be over but I’m also very thankful for this experience so far. Without even realizing it, Shutaf now has a special place in my heart and that thought just makes me really happy. My First Day with a Group! Today was a very fun and different kind of day because it was my first whole day with the same group. The ages of the kids are around 8-9 years of age and were full of so much energy. It felt nice to finally have a specific group to be with because it allowed me to bond more with those kids and the counselors. I also got the opportunity to experience a broad range of activities with the same group which made it possible to see the different sides of the kids. There a few extra special moments today one of which was when one of the kids leaned on me and held my hand while we were in a session with animals. I always heard that children have the best intuition and judgement of character and for a child who doesn’t even know me to trust me like that was very heartwarming. Throughout the day kids were asking me for help and coming up to me which was also a great feeling. Another fun activity with the kids was when we got to play outside with bubbles. We were playing together and I got to take some awesome pictures. Seeing the smiles on the children was very satisfying. To have children respect me but also enjoy my company without us even really speaking to each other is simply another heartwarming moment. Campers and counselors alike were engaging in conversation with me and I think it was then that I started feeling really good about the day. Getting to know a few of the counselors was also really great because it allowed me the opportunity to bond with people around my age and I also got to learn a little about life in Israel and at Shutaf. Making new friends is sometimes difficult for me but being with this group at Shutaf was pretty fantastic. Once again there was the obvious language barrier but when you are around certain individuals for a certain amount of time you start to build a great relationship!